Roscoe Medical Pulse Oximeter features a light and compact design with a single button operation that is easy to operate. Its low power consumption allows the unit to run for more than 30 hours of continuous operation. The all-in-one integrated device has two-way color, six display modes and ten levels of adjustable brightness. 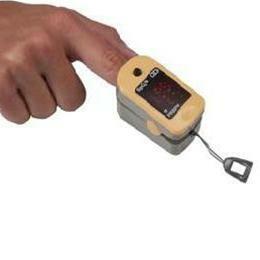 Our Color Finger Oximeter has an oxygen saturation range of 35% to 99% and pulse rate range of 30 to 235 BPM.